Note: Please move this post if necessary; it's been awhile since I've been here and I'm not sure where to post such things anymore. I used to know where to post when I had my TL Type-S but with the MDX forum I get lost even though there always seems less to talk about (much to my chagrin). At hand: aftermarket installation of a double-DIN head unit in my 2007 MDX. Talk about a custom job. I'm nearing completion of installing my new 7" touchscreen JVC head unit in my MDX. I'm about 75% complete. 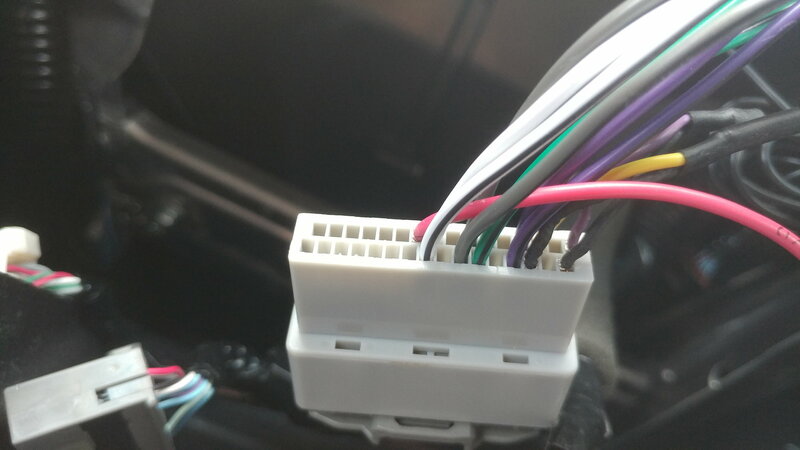 My (current) problem (there are always problems with custom work) is this: where can I find a wire to attach the JVC illumination (orange/white) wire to some wire in the vehicle harness? The older MDX's were SO much easier!! My theory is this: when the headlights are turned on the dash lights dim, so somewhere there has to be a wire of appropriate gauge I can tap into. I want to remind that I am not looking to tap into the dimmer switch. These wires are around 22 gauge wire. I'm looking for a wire that may come right out of the steering stock perhaps? The headlight stock, does that have any specific wires that are relevant? What is producing this voltage drop when the lights are turned on so the dash lights become "dim"? Is it a relay or a fuse somewhere connection somewhere in the engine bay perhaps? Everything in the cabin is exposed so I can test nearly any wire within reason. FWIW I've taken pictures of the whole process, some with my Nikon D7100 so I can get great depth of field shots on objects I really want to emphasize and others with my iPhone, which although still good, trades off quality for ease of accessibility when wanting to take pictures in a small and difficult location. When this project is complete I will explain in detail how it is I went about thsi process, the reason I chose the location for my head unit (where the old nav unit screen was), parts, which wires are what (except for illumination! ), costs, and tools required. And patience. A lot of it. I've learned a lot from this project of what to and what not to do so it should be a huge help to someone who is looking for a 4/5 to 5/5 difficulty level project (if you want it to look good and maintain the OEM look in the console area). Once complete I'll have to ask one of the moderators to help me put some sort of post together or perhaps upload a MS Word file for others to take the plunge if they so desire. My next project (after finishing my MAME arcade) is to do this all over again but putting the double-DIN where the existing CD changer is, just below the HVAC controls. This setup would be ideal. Lastly, reaching over to the touch screen is not nearly as bad as one would think. I had many reservations because of this but after much "ergonomic testing" from different people they concluded it works quite well. The added remote makes it that much easier, and it has Blue Tooth to boot. Thanks in advance, but I wanted to provide an update of this project along with a sincere question about the illumination wire. Up until 06' I believe it was blk/red but that may have been for the dimmer, idk. Last edited by MI6; 07-30-2013 at 01:30 AM. this is very interesting. please post the instruction when you're done. 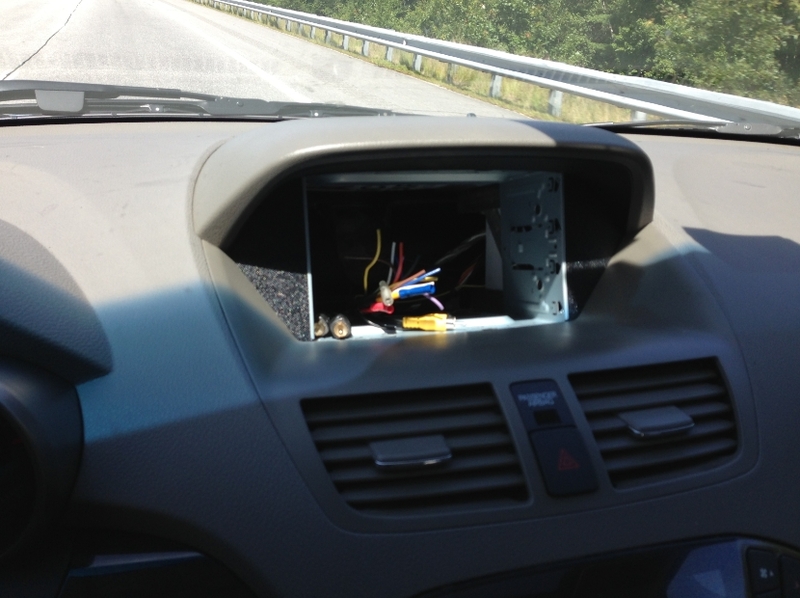 are you going to relocate the navi and put an aftermarket head unit where navi screen was? I definitely will post instructions complete with photos when I'm done. The original navi is not going to be used, though I will maintain the fascia and the knob and buttons which support it the original equipment directly below the HVAC controls (the dark silver/gray piece where you put your CD's in). You are correct with the aftermarket head unit. I anticipate that will be hooked up this weekend. I need to do a little more wiring to get the sub RCA's, reverse light lead, and the video RCA wire for the reverse camera (I have disconnected the OEM camera in favor of an aftermarket camera which has "guidelines" as well as infrared. It's a difficult project but I think it can be easier for the next person now that they know what to do if they choose to go this path with the aftermarket head unit up where the OEM navi was. My next project will be creating a custom fascia for the double DIN unit right where the CD's are inserted. I am going to ditch the OEM fascia altogether, as well as the gray plastic. I will be using burl walnut most likely (or whatever fake plastic wood which is in the whole vehicle now; I have to do my research). wow, i can't wait to see the final product. i don't know if this will help but i have all the wiring diagrams/pinouts courtesy of tim from the other forum for the radio harness. pm me your email so i can send it if you want. or if you are a member there i can post the link. Wow, that would be a huge help! It would help me with the final wiring this weekend for sure. I would be much more assured with this. I'll send you a PM. Thanks! No problem. emailed!! Hope it helps. I do have a few updates. I've successfully routed all of the wiring. All I need to do is plug it into the head unit and see if things are working properly. Unfortunately, the wiring diagrams you gave me were for up to 06' model years. It was an honest attempt though and I do appreciate it! The 2007 through 2013 models (probably 2014 too) are an entirely different beast. There are no Metra connector kits for speakers or adapter kits for single or double DIN. Everything is custom. And I really do mean everything. Hopefully my attachment of the picture works of my modified console to fit the double DIN. I've used everything from a screwdriver to a MIG welder to get to this point! Sorry about that. Hope everything turns ok.
Hi, I 'm trying to install an aftermarket head unit for my 2010 MDX base but can't find information about the harness pinout diagram online. Then I cam across you post and looks like you have made it work! I'm wondering if you can point me to some pinout information so that I can hardwire the aftermarket head unit. There are five plugs connecting the original radio, including a small antenna connector, a white 14 pin connector, a gray 24 pin connector, a gray 32 pin connector, and a gray 17 pin connector. Any help will be much appreciated! Have you completed the installation on your 2010 base MDX? This is used to connect the pre-amp out to the connector below to connect to the factory amp. connector next to the 17 pin connector. This is the connector going to the factory amp. Connect the 12V (red), Constant 12V (yellow), and Ground (black) from the aftermarket headunit to the 17 PIN connector. There are sometimes two blue wires, one is for power antenna (may only have power when listening to radio), use the constant one instead. With this setup, I am able to install an aftermarket radio without cutting any of the factory wires and able to put back the factory radio at any time. Today I started to exchange HU in my MDX from 2008. I made the radio connections using the description of this topic - good job ! do you plug this in the dash area or amp section? can you assist me on the installation bro? Do you need the RCA wires if your MDX doesn’t have Navi? You connect to the factory car cable harness. The signal to the amplifier must be connected to the preamplifier outputs of the radio you want to install. If your aftetmarket radio has an RCA preamplifier output you should use the appropriate convector RCA. No matter if your car has Navi or not. ...of course the connector, not the "convector" . Thank you WWONG for your post. It's very helpful and I feel way more confident in making my aftermarket radio work. Did anybody ever figure out the dimmer/illumination wire on the 2007-2013 MDX? I tried testing the 4 main large connectors going to the radio with a multimeter and by switching headlights off and on but no luck. Not a single wire changed state while I was doing this. This is the last piece of information I need before I finalize my installation.